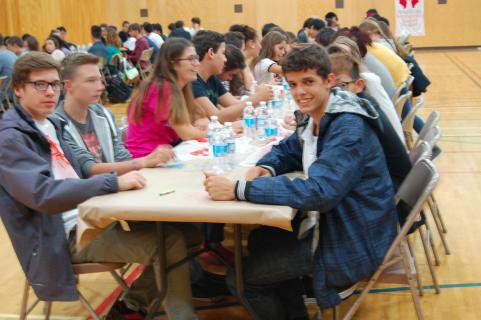 Over 200 international students from across CCRSB gathered in the gymnasium at the Central Office today for a welcome lunch. Students, staff and host family supervisors had an opportunity to sample Maritime foods thanks to the Career Exploration Program culinary students from CEC. Lobster, salmon and mussels were on the menu, along with a big helping of fun!